Will artificial intelligence bring the age of artists to an abrupt end one day? Will machines really take over? Probably not any time soon, but the latest experiment from Google is a potent reminder that there’s still much potential to tap in AI. Today, we can pose as skilled artists thanks to machine learning. 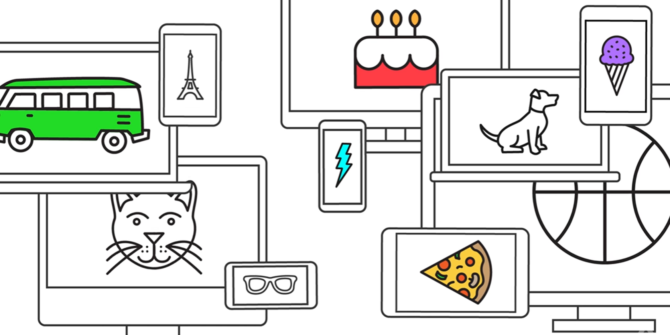 AutoDraw is a new website from Google that turns your amateurish doodles into recognizable clip art. AutoDraw gives you a canvas, a basic drawing tool, a type tool, and a couple of other icons for shapes and fill. But the focus of the program is to help you sketch with the main AutoDraw tool. Draw something — anything! — and the program will take your clumsy doodles and turn them into clip art drawings that look like the real thing. The magic happens in the background where artificial intelligence goes to work and guesses what you want to draw. As soon as you start sketching, a row of images appears on top of the canvas to indicate what Google’s AI thinks you’re trying to draw. You can click on one of them to instantly change your doodle to the more polished image. Think of it as if you’re playing Pictionary with Google… with some extra benefits. You can use the other tools — use color and fill or add text — to polish the clip art further. You can always select the drawing and resize, rotate, or flip it. Happy with your final image? Download it as a JPEG or share it with friends. Google’s idea is to make the drawing process easier on any digital device. AutoDraw is a web-based tool but it works just as well on your mobile screen. This is your best chance to turn ugly drawings into something passable. And we’re still in the early days! I personally hope the collection of clip art contributed by the community continues to expand. It will boost the scope of the program and what we can do with it. For instance, we don’t have to go hunting for presentation clip art The Best Websites for Free Clipart Downloads The Best Websites for Free Clipart Downloads Today's clipart needs to be modern, colorful, and less cartoonish. Try these 13 the top websites for free clipart downloads when you need to search for the right image in a short time. Read More or take the tedious route to make our own for PowerPoint presentations. Making a quick infographic could get easier. We can simply draw and let AutoDraw hew away at the rough edges. Also, read Google’s announcement on its blog and check out Quick, Draw! that uses the same AI technology. Try AutoDraw. Tell us if it recognizes your ugly squiggles. Just how cool is it? Explore more about: Artificial Intelligence, Drawing Software, Google.